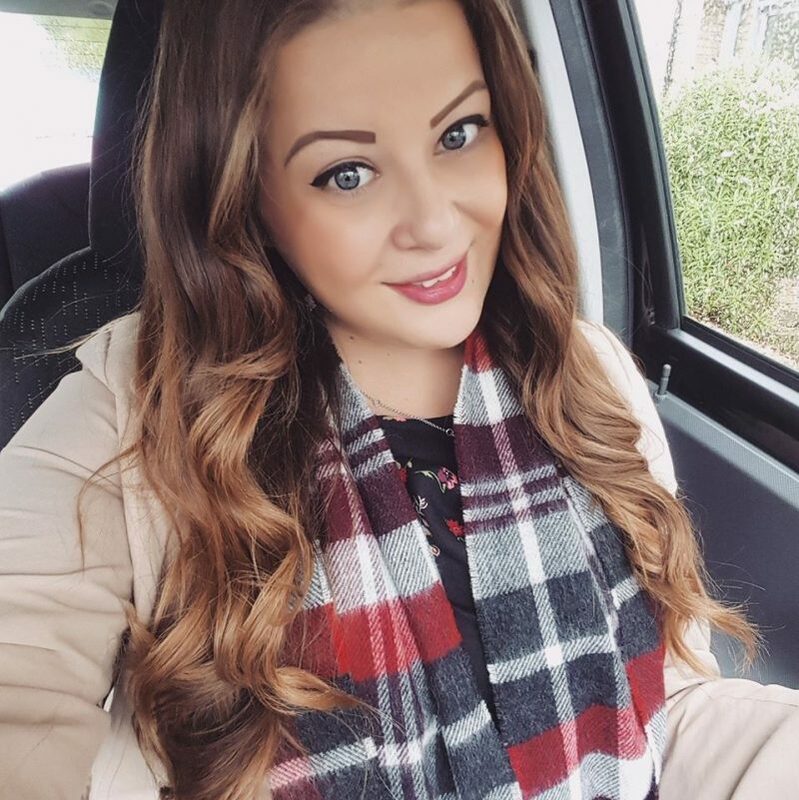 Yesterday I got back from my first ever girls holiday! I went to Ibiza with 5 other girls for my best friends hen do and had the most amazing few days (blog post coming soon!). We only stayed for 4 nights and to keep costs low I decided to travel without any hold luggage and therefore tried to make sure I packed as light as possible in my hand luggage. it along and had to carry it about, which got quite heavy! To keep organised, I made sure that I packed a few travel accessories including this pretty blue and white geometric printed set from Trendz. 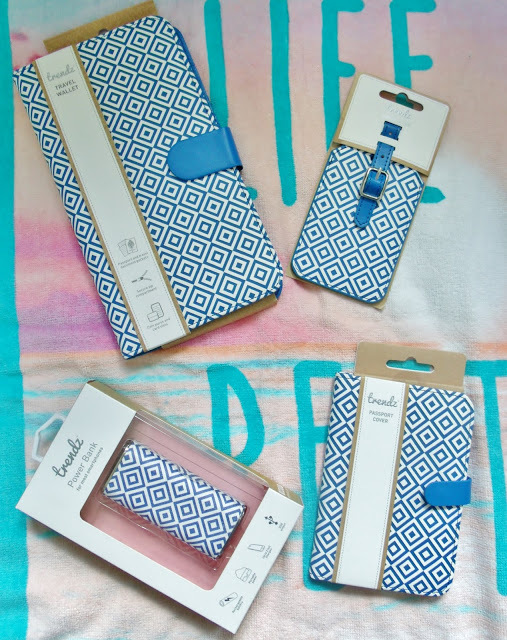 The set includes a passport cover, luggage tag, and an essential travel wallet. The wallet was perfect as it was so useful to have at the airport; it has compartments for a passport and boarding pass, along with slots for cards, a pen, and a little purse for coins. I also found the portable power bank a life saver for keeping my phone charged up when I was out and about, as the battery drained fairly quickly with all the photos I was taking! 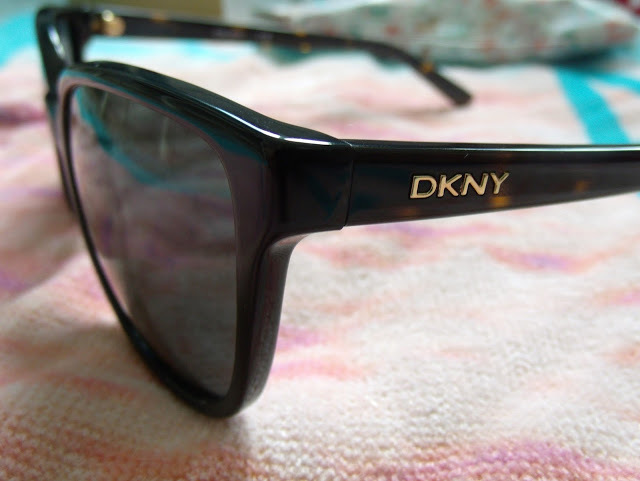 The main travel essential that I made sure to pack is my new pair of stunning DKNY sunglasses. 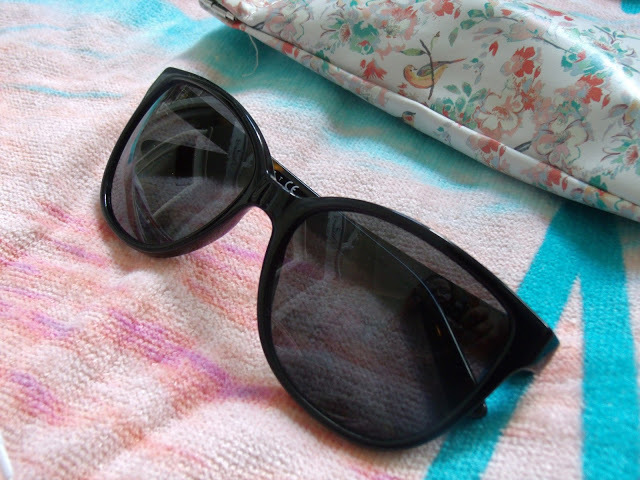 I absolutely love the sleek cats eye style and contemporary shape of these frames. Since I had my laser eye surgery last year I always have to ensure that my eyes are fully protected when outdoors, especially in the summer. These lenses are UV400 protective and they’re nice and dark which also helps to keep my hungover eyes disguised! I also ensured my skin would be protected whilst I was away, as the Ibiza sunshine was blazing hot! To make sure my skin didn’t get burnt I used plenty of sun cream during the day, especially on my face. 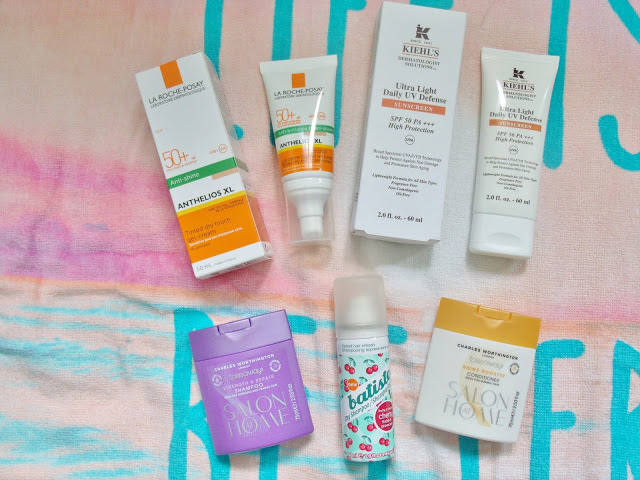 My holiday favourites include the La Roche-Posay 50+ Anti-Shine and Kiehl’s Ultra Light Daily UV Defence, both of which are small in size so are ideal for packing in my bag. I also packed a few miniature toiletries including Charles Worthington Take Aways Shampoo and conditioner and a mini Batiste dry shampoo spray. Superdrug do a great range of travel sized products and they’re currently on 3 for 2! 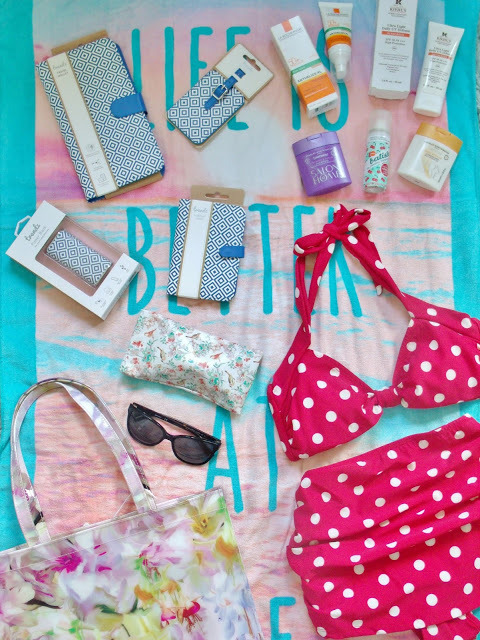 And finally, you can’t go on holiday without swimwear! I was lucky enough to get to try some of the most beautiful pieces from retro swimwear designers For Luna. They do an amazing range of vintage 50’s style bikinis and swimsuits and so I picked one of each. 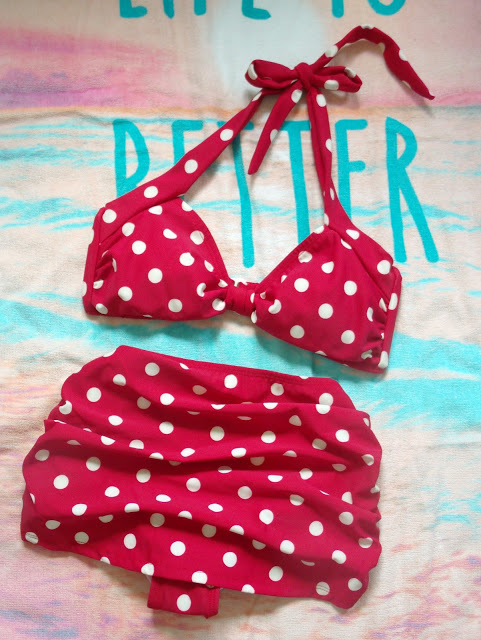 The red and white polka dot bikini set comes with a halter top with foam cups for support and a pair of high waisted, skirted bikini bottoms with ruching which helps to hide any bumpy bits you might not want on display. I absolutely love the classic design along with the fun polka dot print, and the extra bit of tummy support meant that I felt confident wearing this on the beach. 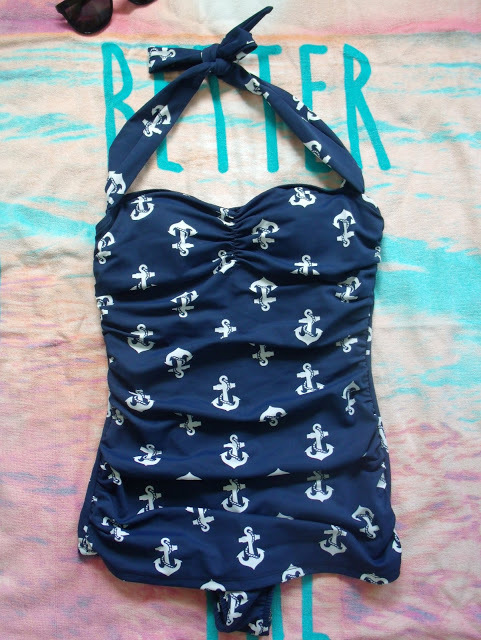 The second piece I packed from For Luna is this adorable anchor print full swimsuit! I absolutely love the playful nautical print which features a white anchors on a navy blue background. 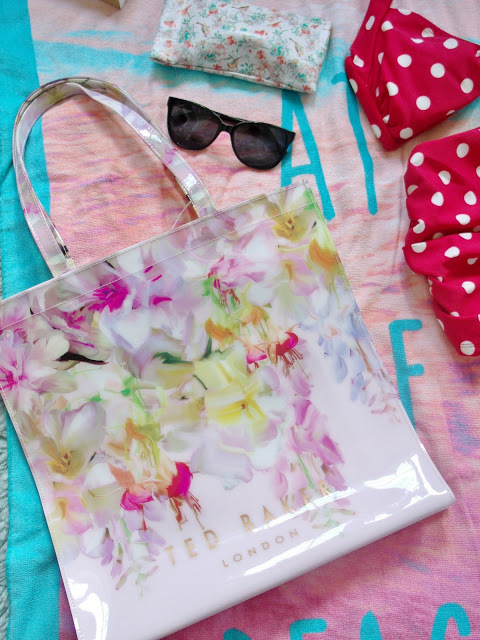 It’s perfect for summer, and the swimsuit has halter neck straps which can be tied around the back to give it a strapless look. It also has a slight sweetheart neckline and again a firm tummy support and skirted front which is great if you don’t like to show off your upper thighs. It’s so flattering to wear and it really accentuates your curves!